The conclusion takes up the deeper political and cultural implications of Gao’s work. What drew me to Gao originally was what I interpreted as stubborn resistance to established norms and an unwillingness to be defined. 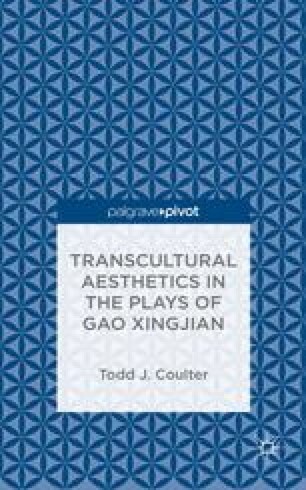 Considering the totality of his acknowledged cultural heritage and aesthetic project, I argue that Gao manifests a transcultural sensibility of identity expressed through the unique aesthetics of his dramaturgy. This aesthetics is predicated on a playful manipulation of established theatrical discourses that allows one to exist always at the periphery and never in the center. This playfulness necessitates constant creation, and it is here that Gao most happily resides.